According to Buddhist traditions, Ashoka ruled for 27 years. The disintegration of the Mauryan Empire seemed to have set in immediately after Ashoka’s death. The tenth and the last of the Mauryas was Brihadratha, who was murdered by his General Pushyamitra Sunga. This was the end of Mauryan Dynasty. The highest functionaries at the centre were called Tirthas. There was also the Mantri Parishad to assist the king in the day-to-day administration. There was total eighteen tirthas. The Adhyaksya’s were high ranking officials nest to the Tirthas concerned mostly with economic functions and some military duties. An important development in the king’s position in Mauryan empire was the emergence of a paternal attitude towards his subject. In Dhauli inscription (Major Rock Edict VI), Ashoka says, Savve Munisse Paja Mana (meaning, all men are my children), which shows his paternalistic attitude towards the people. The Mauryan king did not claim any divine origin yet they attempted to emphasise the connection between kinship and divine power. The Mauryan Empire had major administrative units like the Centre and the Provinces, which had various sub-units down to the village and all came under the purview of central administration. At the centre of the structure, was the king, who had the power to enact laws. 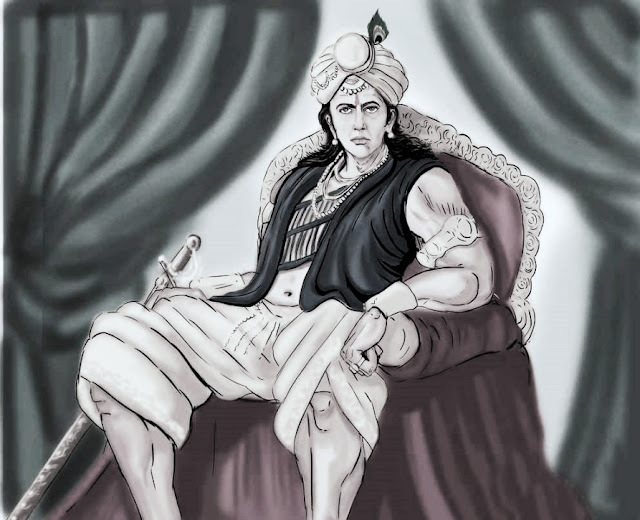 The king was called by Kautilya as Dharmapravartaka or Promulgator of the Social order. The head of the Provincial administration was Kumara, who was assisted by Mahamattas and a council of Ministers. The provinces were divided into divisions headed by Pradeshikas, who had no advisory council. Divisions were divided into districts under officials called Rajukas. He was assisted by Yuktas in accounting and secretary works. Districts were in turn divided into group of 5 or 10 villages headed by Sthanikas, who were assisted by Gopas. The lowest administrative unit was the village headed by Gramini.